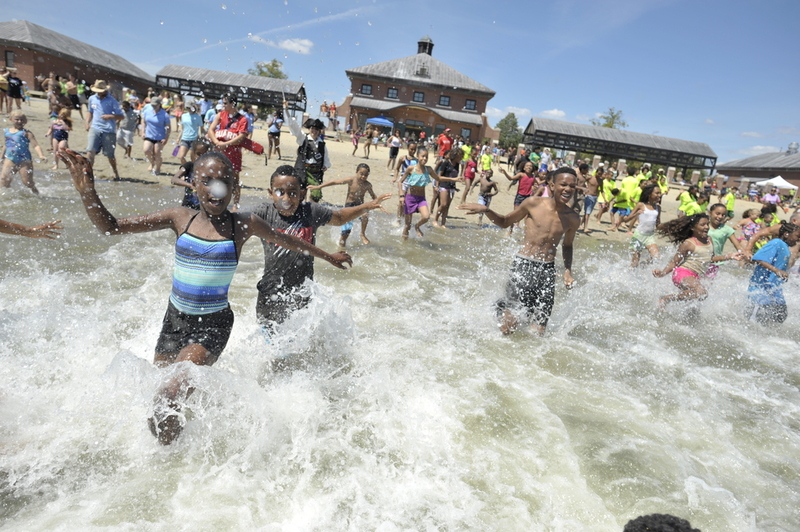 It's that time of the summer again, time for the annual Beach Bash and Splash! 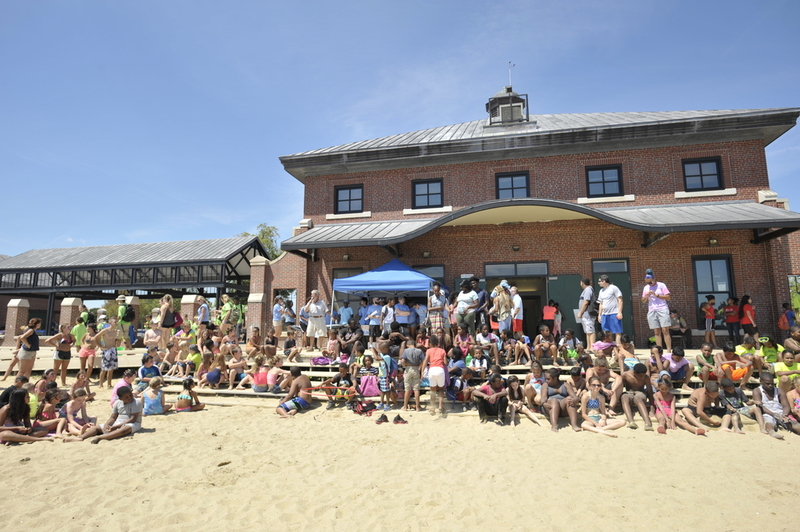 With Carson beach packed with hundreds of eager kids and even more hotdogs, the stage was set for the perfect day at the beach. 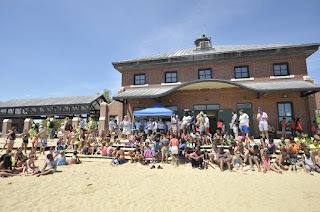 It was low tide in the morning when the Beach Bash began, so myself and a few other staffers tried our luck at clamming with some of the kids. We walked along the shore stomping on the ground, looking for spouts of water to shoot up, indicating that there was a clam below. With the tide quickly rising, only a few tiny clams were found intact before we had to move on to some other fun events around the beach! 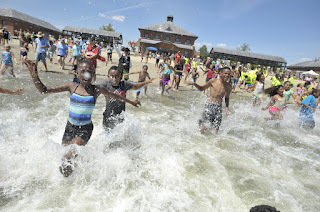 From face painting and fish printing to sports, there were so many fun stations going on every which way you looked. Kids were running around with magnificent pieces of artwork on their faces courtesy of the expert face painters, and even some of the counselors were lined up to get their faces painted. Once all of the groups had made it to the beach, we all gathered around to sing a couple of sea shanties before splashing our way into the water. 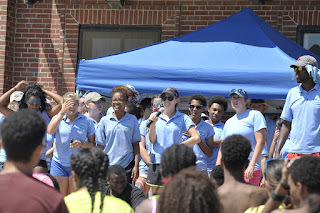 All of the Save the Harbor staff taught the kids our own personal sea shanty "Hey Hey Bo Diddily Bop" which is always a crowd favorite. Then David Coffin gave us his best rendition of "Haul Away Joe" before the mad dash to the water. After a quick dip in the water, it was time for lunch. With a full staff of cooks, hundreds of hotdogs were handed out to fill the hungry little mouths running amok around the beach. At the end of the day, I think it was another successful Beach Bash. I've now been a part of the last three, and I think they only continue to get better and better every year. I can't wait to see what's in store for next year!